That's a little better than expected.. I muck-up a little with #2 at the top when I said 'BWII'. I should have just said 'BW'. I recognized the character from the BWII anime and I knew he formed part of Magnaboss, but he was called something else (not Ironhide). I think the US/Western version named Ironhide might've been a toy-only character. Don't remember seeing him in any cartoons. Ah, I got tricked with the animated ones. Lol. I never realised Bulkhead was called Ironhide in Japan. In Japan, the red Ironhide was Armourhide (I didn't know that either...). Bottom 1st; I knew I'd seen him before. He was definitely a Decepticon in the Armada series, but he went by another name that I couldn't remember. 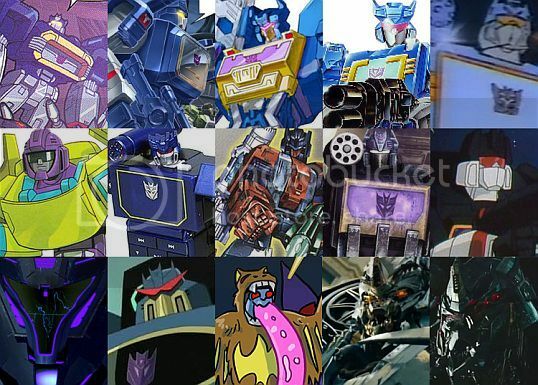 I thought he might be Armourhide, because in RiD/Car Robots (I'm surprised how much I know about that series despite not being a fan), there was an Armourhide which formed one of Ruination's legs, and I figured the Armada character might have been based on that. Yeah, besides those, not much surprises. Heh, didn't even noticed that you'd typed "II", otherwise I wouldn't have awarded you the point for it (ah well, t'is only a game ). 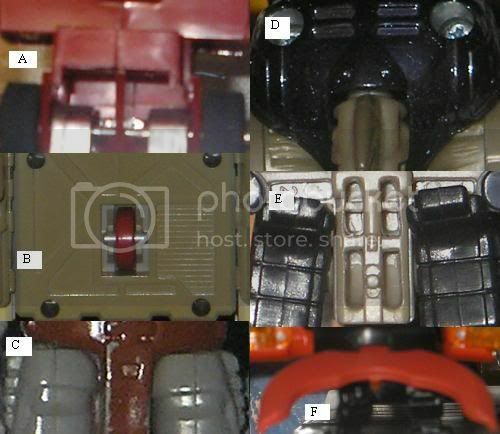 The Japanese version is called Santon and there are some additional colours which Ironhide lacks. BW Ironhide never appeared in the cartoon but did appear briefly in the IDW comics. Perhaps faces are too easy. Let's try BUTTS! 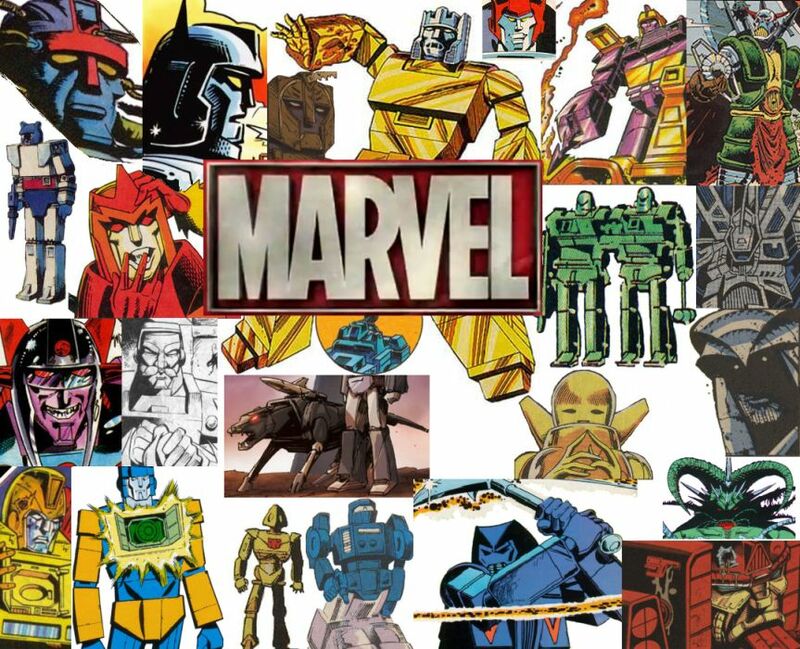 In memory of Stan Lee, name all of these characters who originated from the Marvel comics. Ok I'll give this a crack! NO TFWiki cheating and lets see how we go.